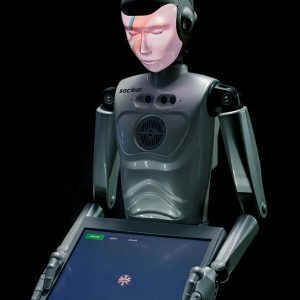 With many of the interactive features found on RoboThespian, SociBot is a great choice if your robot budget is limited, or you don’t have space for a full-sized humanoid. A desktop model, SociBot-Mini, is also available – perfect for research, or experimenting with at home. Socibot’s eyes follow you around the room; the expression changes to reflect its mood (or yours!). SociBot can be a he, a she, or any character you care to invent. Socibot is a compact, sociable robot, designed for human-robot interaction in a more intimate setting. Containing all the processing power of RoboThespian compressed into a stand-alone kiosk or desktop device, SociBot is very powerful. The charm of Socibot lies in its sociable qualities. It has the ability to detect faces, features, emotions, speech and gestures. Furthermore, SociBot makes use of projective technology coupled with facial generation via parametric meshes to bring any character or image to life, in full 3D form. And with 40+ faces installed on your robot and the ability to add your own, Socibot is a truly versatile delivery system. 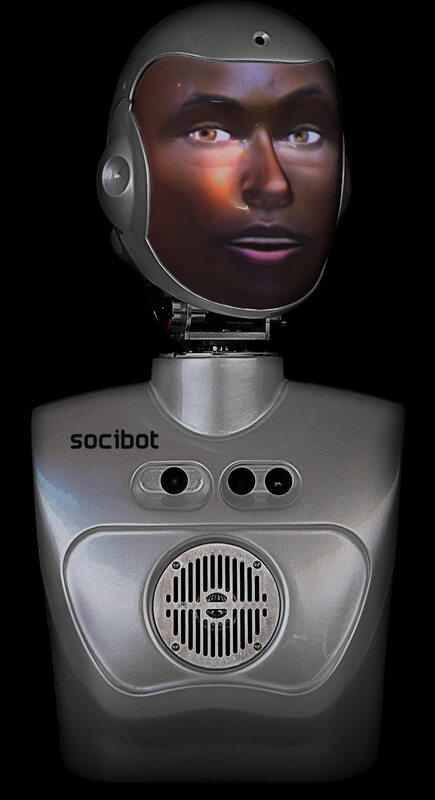 RoboThespian steals headlines, but SociBot provides the emotions, with his expressive projected face. In this beautiful piece of theatre “Spillikin”, “There will be an internal “wow” when you first see “him”… come the end you will have forgotten it’s a robot.”. RoboThespian stars alongside 4 actors, in a touching play that explores the sensitive and very human themes, of love, death, betrayal, decay and disease. 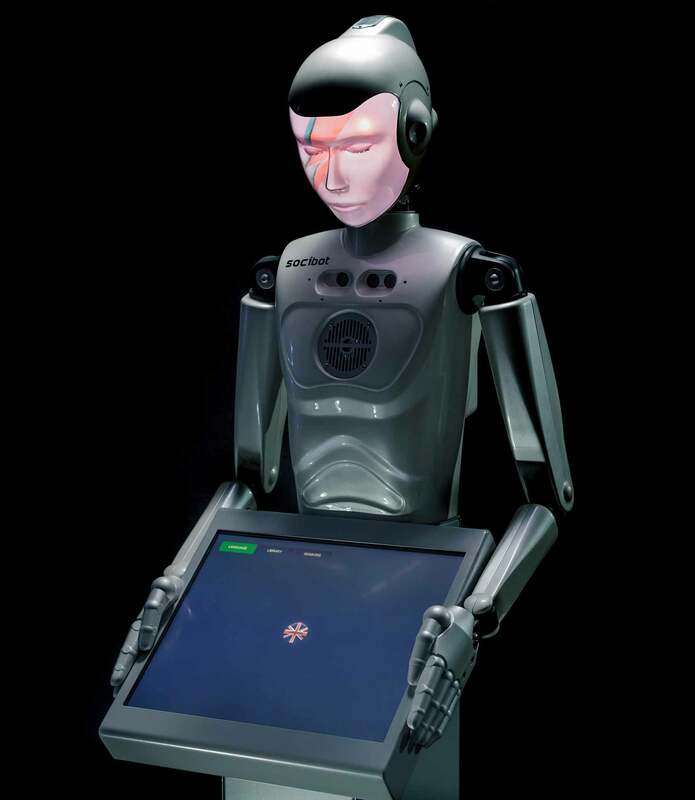 All handled extremely sensitively with RoboThespian playing a large role. This particular RoboThespian has been customised with our state of the art projected head, typically found on Socibot. This means a huge range of facial emotion can be accurately displayed with the subtle nuance, normally only achievable through human actors. RoboThespian can be ordered in this configuration, or with the classic face. At Engineered Arts, we are always innovating and improving our products. Our robots are rather smart and need powerful computing to run them, but in a form factor that makes life easier for our customers and engineers. This is why we use the proven platform of the Intel NUC. This provides the power and size required. 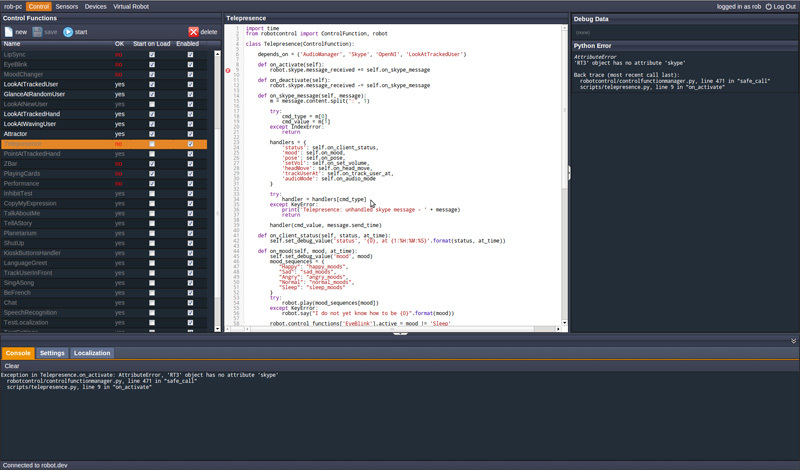 It also has a huge support base already, making troubleshooting much easier. And because these computers are self contained, and have uniform dimensions and are in many other products outside of our robots, the economy of scale makes it very affordable for a customer to upgrade in the future. Easy to use browser based 3D animation software included for free! 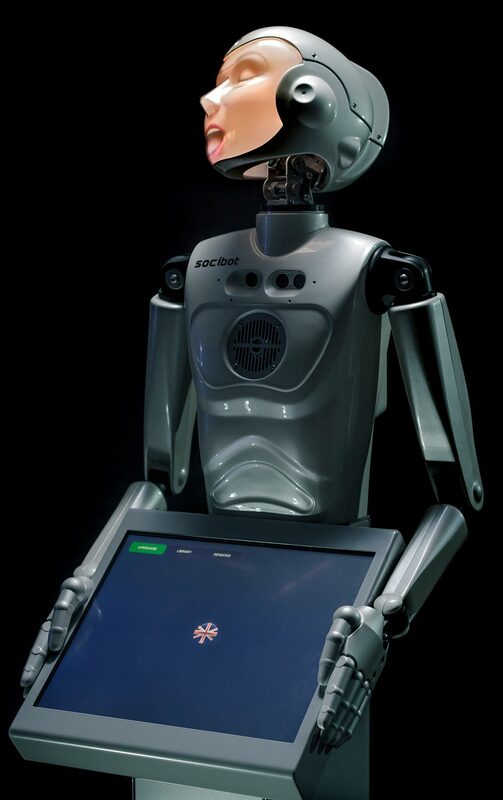 SociBot Mini integrates the core technologies of RoboThespian in a desktop-sized robot. Extra ports and multiple Ethernet connections make it easy to interface with your choice of hardware. 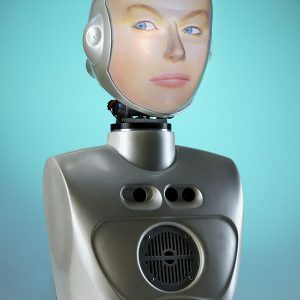 The projective head and fully articulated neck make SociBot even more expressive than its larger sibling. Ideal for individual researchers, small-footprint telepresence, or just for playing around with at home, SociBot offers a simple and affordable introduction to advanced robotics. SociBot can track the position of more than 12 people at a time, even in a crowd. It can also detect gestures like hand waves and body poses. The internal head projector can map any face onto any mould – talk to us about customizing your facial features and projection options. See our Technology section for more details. 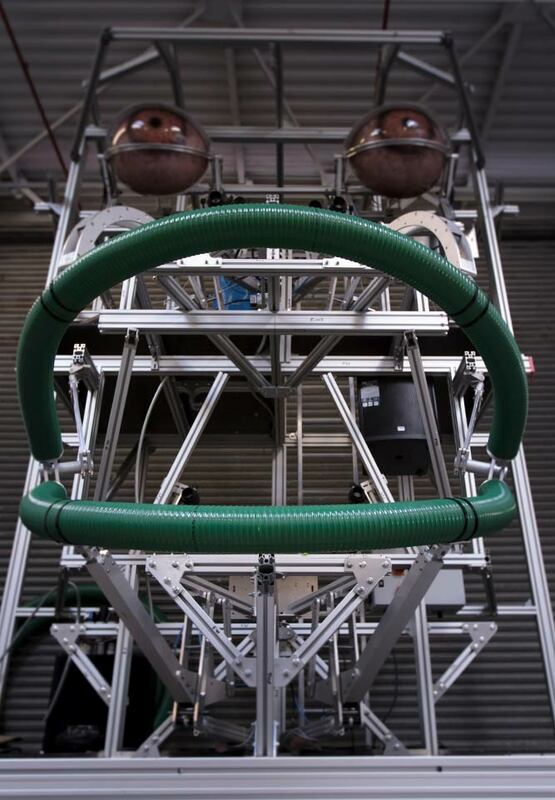 Imagine a robot that doesn’t behave like a robot. A robot with natural intelligence. A robot that captivates and inspires wherever it goes. Introducing TinMan. Telepresence, by Engineered Arts. Now you can be the robot from anywhere in the world. TinMan hands you real-time control of RoboThespian or SociBot. Using inbuilt cameras and microphones, you can control its gaze, enter a natural conversation, and trigger content on the fly. Automated features like maintaining eye contact keep interaction compelling and believable. Allowing you to concentrate on the fun stuff. BLOWING PEOPLE’S MINDS! TinMan offers unrivalled levels of engagement and provides lasting positive memories about your business or attraction. Complex technology and clever design, disappear into simple intuitive use. Enabling truly breathtaking interaction, with no distractions, while instant visual feedback of the robot keeps you looking the part. 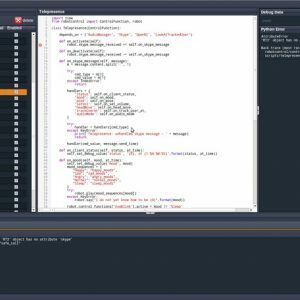 This powerful software is packed into the simplicity of a browser. So no need to install anything. 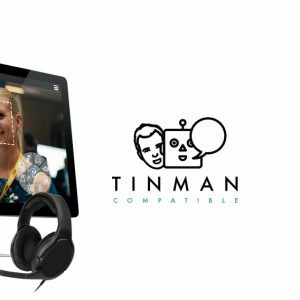 Designed from the ground up, TinMan works on desktop, tablet and even smartphone. So you can beam into any of your robots. Just log in and go. Apart from SociBot mini, Socibots use an integrated rugged, public facing touchscreen kiosk. 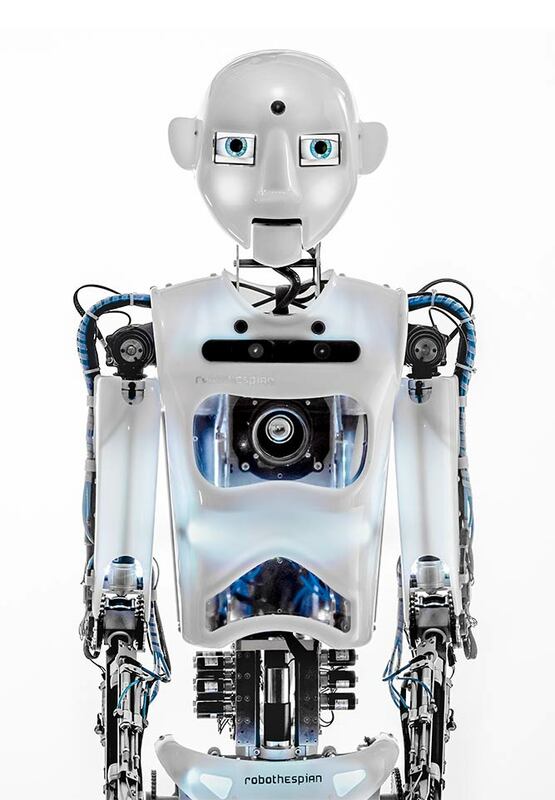 People can select languages, trigger content, animate the robot and see what its sensors see. The interface allows people of all ages and backgrounds to actively engage and control SociBot. The kiosk arrives ready to go with your pre-programmed content & languages already set up. Just plug in SociBot and go. As the robot administrator, you can use our web-based software to manage and customise, what your public can see and do on the kiosk. You can even upload your own graphics to the kiosk for a truly personalised interface. 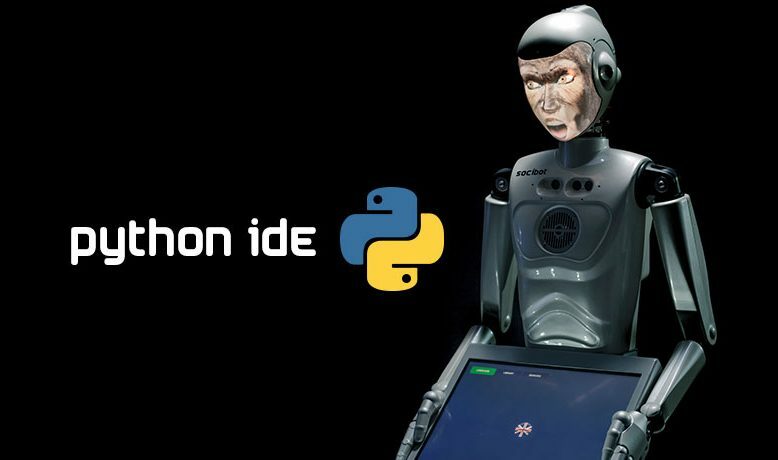 For users wishing to delve more deeply into the possibilities afforded by our robots, we provide an integrated developer environment where you can use Python to create your own control functions and subroutines for the robot. Use the robot’s many sensors to register data from the environment; control the hardware to make the robot truly responsive. SociBot is great looking: expressive, in tune with its emotions, talented, funny, intelligent, has a great job and loves to make people smile. It’s no wonder it’s a real hit wherever it travels. No matter the age or gender, people find SociBot endearing. Meaning people are truly engaged when it delivers a message. Whether in a museum environment, making a sales pitch at a conference or delivering a rib tickling stand up comedy routine, it is guaranteed people will listen, watch and enjoy the experience. 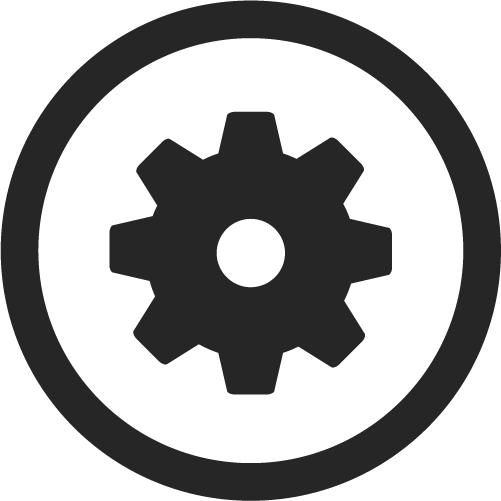 SociBot is complex machine made to be easy to operate. However, sometimes you might need some support. The first line of defence is the Engineered Arts wiki. This resource is jam packed with support items, tech specs and instructions. If you are still in need of support, our engineers can access and troubleshoot your robot from anywhere in the world. If you have any questions see our FAQ page, or contact us.